UltraPort - 1 port Serial Card - 1-port Universal 3.3v/5v PCI serial card. On-board DB9 male RS232 port. 921Kbps/port wire speed. Enhanced modem support. ESD protection to 15kv. Easily add RS232 serial ports to PC's or servers running any major Linix, Windows or Unix operating system. 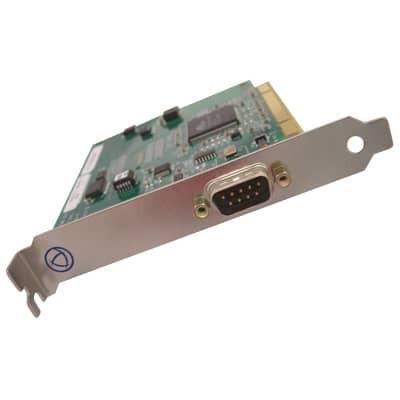 For complete product details and technical specifications, please visit our UltraPort - PCI Serial Port Card Product Page.